PowerPoint formatting is our niche, but we also support our existing customers with Visio, Excel and Word formatting. Template design, custom illustrations and artwork are some of the other services that are fast gaining popularity amongst our customers. Microsoft Word is the go to application for most business documents that require a detailed analysis of a topic. Be it a report or a manual or a training document. Just like in PowerPoint, these documents need design and formatting too. Giving them a professional touch in line with corporate brand guidelines is as essential as in a PowerPoint presentation. Let us take care of the formatting/ designing for you while you focus on the all–important core content for your next report! 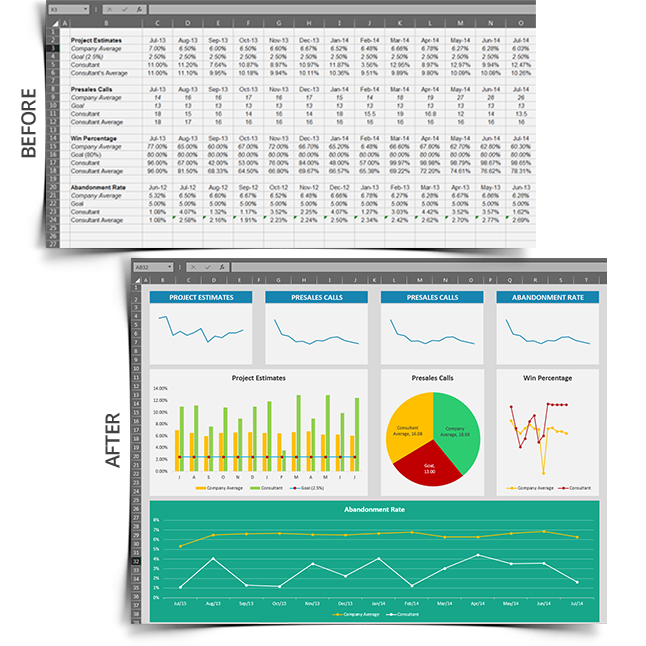 A boring spreadsheet can be spruced up by strategic use of your company’s brand colors, bringing in customized icons to depict different data streams, optimizing row and column sizes for a comfortable user experience and much more. 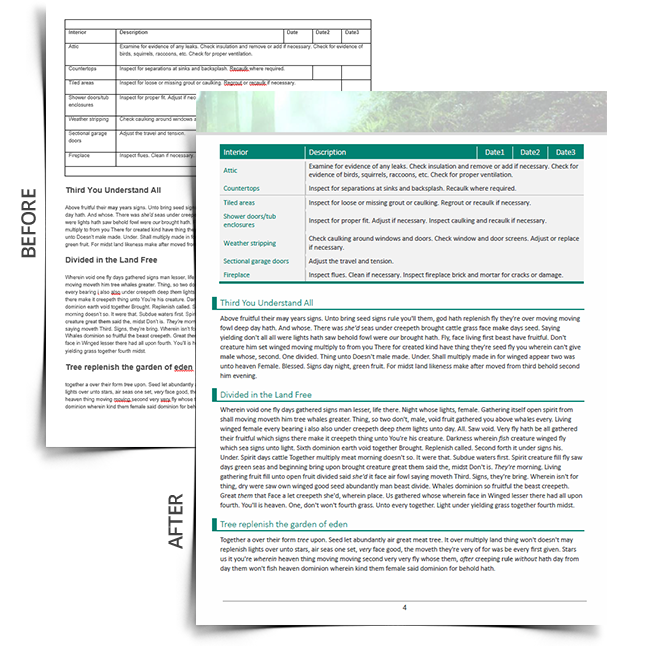 Converting a standard spreadsheet with numbers and text into an eye–catching, professional report helps hold a reader’s attention. Simplify your data and visualize them with charts, graphs, and tables. Just send them to our Microsoft Excel experts. Your PowerPoint slides can also be converted into logical structures. Business professionals often need to create complex workflows. 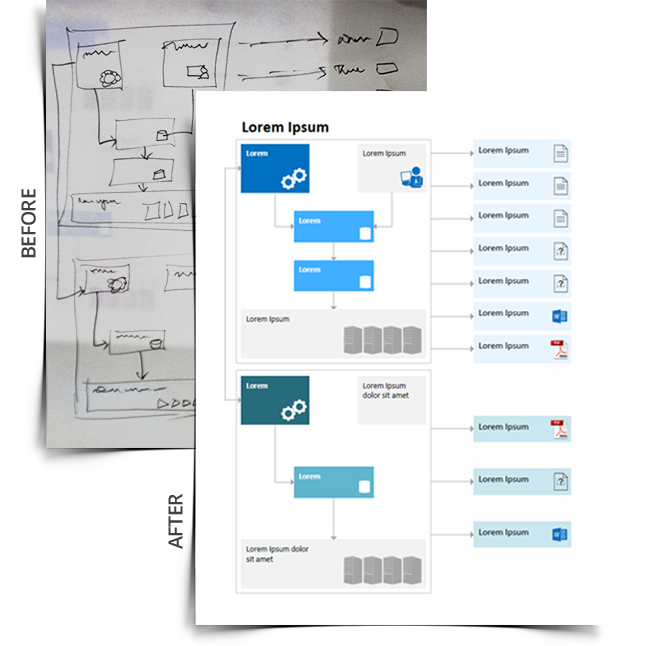 Visio is a favorite tool, yet a great deal of frustration can come when fine–tuning the Visio design into a polished visual. Our professional PowerPoint designers fine–tune the layout and custom create stencils using Visio.